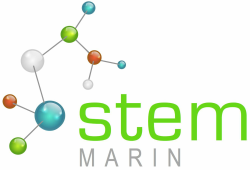 STEM Marin's first graduating Senior class presented their final Senior projects on May 31st, 2017 and we celebrated their accomplishments and our first graduating class. Congratulations to Mrs. Virginia Vogl, STEM Marin Chemistry teacher, who was selected as San Marin's Golden Bell Teacher of the Year. Mrs. Vogl goes above and beyond for her students and her expertise, care, and hard work is deservedly recognized! San Marin High School was recognized as a 2017 California Gold Ribbon School for our STEM programs. We were also recognized for our Arts programs. Congratulations Mustangs! For any questions, contact Adam Littlefield at San Marin High School.